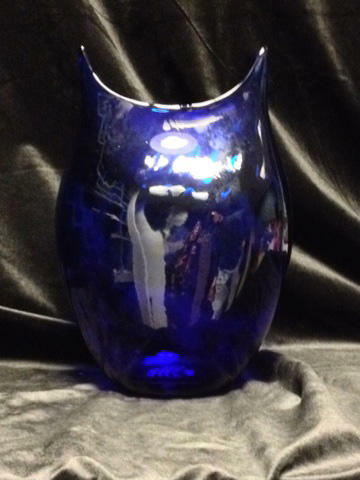 This cobalt twist vase was made exclusively for West Virginia Public Broadcasting. 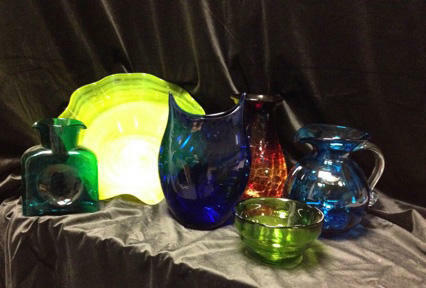 It is one of the thank you gifts for Blenko Glass: Behind the Scenes which airs on WV PBS Sunday, Dec. 15 at 8 p.m. Explore Blenko, a family-owned glass-making company based in Milton, W.Va.
Watch Sunday Dec. 17 on WV PBS beginning at 7 p.m.
7:00 p.m. -- Hearts of Glass -- A detailed, affectionate look at an immigrant's dream which has become the last great American glass factory where all the work is done by hand. Hearts of Glass traces the company's history through four generations of the Blenko family. Hot glass is a family obsession that began when William John Blenko emigrated from England during the gilded age of Stanford White and Louis Comfort Tiffany. In America, Blenko was a man of contradictions- both capitalist and socialist, worker and boss. Three times he tried to produce European-style stained glass and three times he failed. At the age of 67, he tried one last time and found the elusive formula for radiant medieval ruby glass. His discovery was the start of a company whose rainbow of more than 1300 colors would circle the globe. 8:00 p.m. -- Blenko Glass: Behind the Scenes -- Journey to the hills of Milton, W. Va. into the heat of Blenko Glassworks and see first-hand how Blenko handmade glass is created, from start to finish. Each step in the Blenko glass-making process is accomplished by human hand, eyes, and he arts, not by impersonal machines. Learn more about Blenko Glass at the company's website. 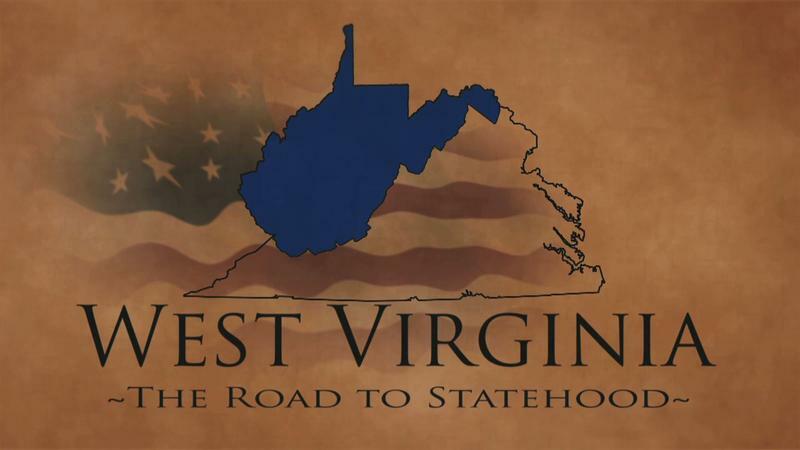 8:00 p.m. -- West Virginia: A Road to Statehood -- This documentary brings to life the issues, differences and disagreements that divided the Commonwealth of Virginia, turning families and neighbors against one another throughout what is now West Virginia.